Die fortschrittlichste iPhone-Datenrettungssoftware im Internet. 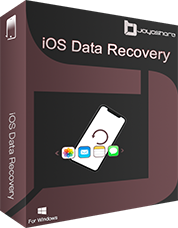 Joyoshare iPhone Data Recovery 2.0 war am 23. Oktober 2018! als Giveaway verfügbar! 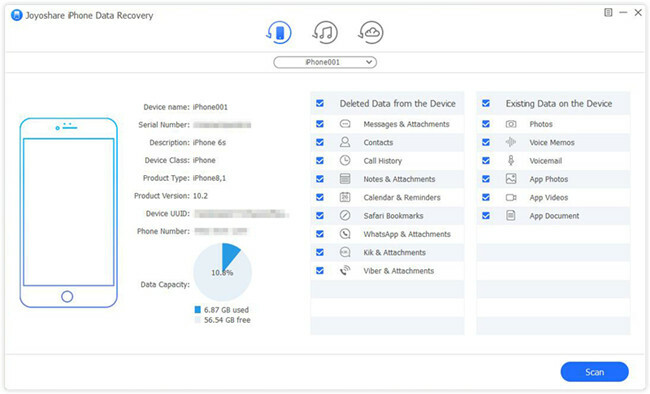 Joyoshare iPhone Data Recovery für Windows ist die fortschrittlichste iPhone-Datenrettungssoftware im Internet. Ihr könnt damit verlorene Nachrichten, Kontakte, Fotos, Videos, Kalender, Notizen, Safari-Lesezeichen usw. von ios-Geräten, iTunes-Sicherungsdateien und iCloud-Sicherungsdateien wiederherstellen. Egal welche Geräte ihr verwendet - z.B. iPhone XS / iPhone XR / iPhoneX / 8 / 8plus / 7 / 7plus / 6s / SE / 6/5/4, iPad Mini 4/3/2, iPod usw. - mit diesem Tool kehren all eure verlorenen oder gelöschten Daten sicher wieder zurück! Einfach zu benutzende Tool zum Splitten und Schneiden von Video- und Audiodateien inklusive AVI, MP4, MPEG, VOB, WMV, ASF, RM, RMVB, 3GP, AAC, MP3, WMA, M4R usw. Es ist eure beste Wahl zum Schneiden und Konvertieren von Video- und Audiodateien sowie zum Extrahieren von Audiotracks auf Videodateien. 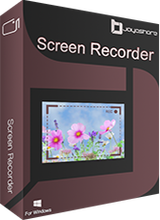 Joyoshare Screen Recorder für Windows ist die fortschrittlichste Software zur Bildschirmaufnahme. Es dient nicht nur als Videorekorder, sondern auch als raffinierter Audiorekorder. Ihr könnt damit alle Bildschirm-Videos wie Vorträge, Live-Chat, Streaming-Filme, Skype-Anrufe usw. 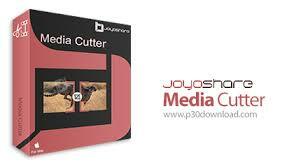 im Vollbildmodus aufzeichnen und Video- und Audiodateien als HD, MP4, AVI, FLV, MOV, SWF, MP3, AAC, M4A, M4B usw. speichern. Nach der Aufnahme könnt ihr sie in Originalqualität auf allen gängigen Geräten wie iPhone, Android, Smart TV usw. wiedergeben und teilen. I have to use it in recovery mode??? Soft does't see iphone ¯\_(ツ)_/¯ I have to use it in recovery mode??? "... please attach your iPhone ..." messages when we already have our iPhone attached, are a bear, patience is required. 1 - wait -- Windows has to install drivers, and that may take a long time, and you must be on the Internet unless you have appropriate device drivers findable when your computer is in safe mode, and you know how to point your Windows software to discover your local directory that contains your iPhone driver software. 2 - wait -- once Windows recognizes your iPhone, your iPhone usually has to display "trust this computer? ", and you must respond in the affirmative on the phone. 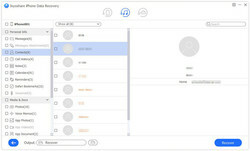 3 - try other iPhone software, such as iTunes, and confirm that your iPhone and your computer CAN talk to each other, keep working until you computer can "see" your iPhone attached using any software before expecting data recovery to start. 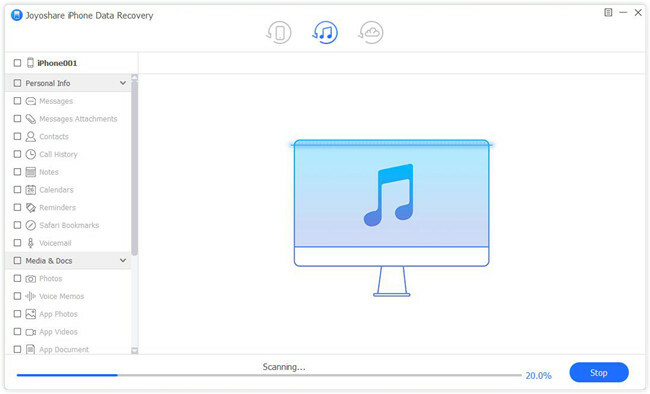 4 - if other programs "see" your iPhone, once your computer proves that it can "see" your iPhone, yet data recovery still fails, then try rebooting your computer into safe mode, and then try data recovery. 5 - try another USB socket, another iPhone cable, another computer, clean all connections and sockets, drain the iPhone battery ( keep tapping it to force the screen on while it is unplugged, adjust brightness to max, and turn off screen lock, this may take a day or longer ), recharge the iPhone battery ( taking another day, maybe ). Yes, Apple has ways to turn on an iPhone while holding the power button and start button and or volume buttons, there are web-findable special instruction on how long to hold and when to release any button in combination, in order to engage a couple of different special startup modes, and if your iPhone is responsive at all, you can explore to see if data recovery is possible in each of those modes. Also, Apple tethers iPhones to iCloud and iTunes, especially with "find my phone" engaged, so if you can turn off "find my phone" in the iPhone iCloud settings menus, then do it, as "find my phone" always interferes with local manual management of our iPhones -- I recommend turning off "find my phone" for everyone because it will inevitably eventually interfere with local manual control, troubleshooting, and recovery, that is, our fear of theft usually causes us to steal our own phone from ourselves, because a misbehaving phone with "find my phone" turned on will usually frustrate any efforts to recover locally manually -- we stole our own phone from ourselves. Finally ( as if ) if you cannot get through any sign-in passcode lock, you have to resolve that first, either with software that promises to figure out or bypass your passcode, or with an Apple or non-Apple unlocking service over the web, with your iPhone connected to your computer ( if your computer recognizes your iPhone, as in the 1, 2, 3, 4, 5 steps above ), or connected wirelessly to your WiFi and Internet somehow. Finally finally ( as if ), find a local an independent or Apple repair technician ( front door or back door ), and interview them regarding their specific success experiences with other iPhones that present exactly as your iPhone presents, and maybe risk handing your iPhone to an experienced professional ... along with handing over your wallet. You have to decide how much the data you are after is worth to you, because you can always move on and buy a replacement smart phone cheap, and it never has to be an Apple. Good luck, and let us know what happens for you.
. [ a ], "... please attach your iPhone ..." messages when we already have our iPhone attached, are a bear, patience is required. 1 - wait -- Windows has to install drivers, and that may take a long time, and you must be on the Internet unless you have appropriate device drivers findable when your computer is in safe mode, and you know how to point your Windows software to discover your local directory that contains your iPhone driver software. 2 - wait -- once Windows recognizes your iPhone, your iPhone usually has to display "trust this computer? ", and you must respond in the affirmative on the phone. 3 - try other iPhone software, such as iTunes, and confirm that your iPhone and your computer CAN talk to each other, keep working until you computer can "see" your iPhone attached using any software before expecting data recovery to start. 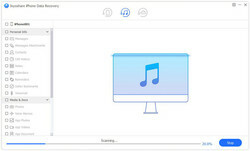 4 - if other programs "see" your iPhone, once your computer proves that it can "see" your iPhone, yet data recovery still fails, then try rebooting your computer into safe mode, and then try data recovery. 5 - try another USB socket, another iPhone cable, another computer, clean all connections and sockets, drain the iPhone battery ( keep tapping it to force the screen on while it is unplugged, adjust brightness to max, and turn off screen lock, this may take a day or longer ), recharge the iPhone battery ( taking another day, maybe ). Yes, Apple has ways to turn on an iPhone while holding the power button and start button and or volume buttons, there are web-findable special instruction on how long to hold and when to release any button in combination, in order to engage a couple of different special startup modes, and if your iPhone is responsive at all, you can explore to see if data recovery is possible in each of those modes. 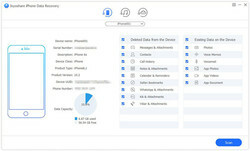 Also, Apple tethers iPhones to iCloud and iTunes, especially with "find my phone" engaged, so if you can turn off "find my phone" in the iPhone iCloud settings menus, then do it, as "find my phone" always interferes with local manual management of our iPhones -- I recommend turning off "find my phone" for everyone because it will inevitably eventually interfere with local manual control, troubleshooting, and recovery, that is, our fear of theft usually causes us to steal our own phone from ourselves, because a misbehaving phone with "find my phone" turned on will usually frustrate any efforts to recover locally manually -- we stole our own phone from ourselves. Finally ( as if ) if you cannot get through any sign-in passcode lock, you have to resolve that first, either with software that promises to figure out or bypass your passcode, or with an Apple or non-Apple unlocking service over the web, with your iPhone connected to your computer ( if your computer recognizes your iPhone, as in the 1, 2, 3, 4, 5 steps above ), or connected wirelessly to your WiFi and Internet somehow. Finally finally ( as if ), find a local an independent or Apple repair technician ( front door or back door ), and interview them regarding their specific success experiences with other iPhones that present exactly as your iPhone presents, and maybe risk handing your iPhone to an experienced professional ... along with handing over your wallet. You have to decide how much the data you are after is worth to you, because you can always move on and buy a replacement smart phone cheap, and it never has to be an Apple. Good luck, and let us know what happens for you. .